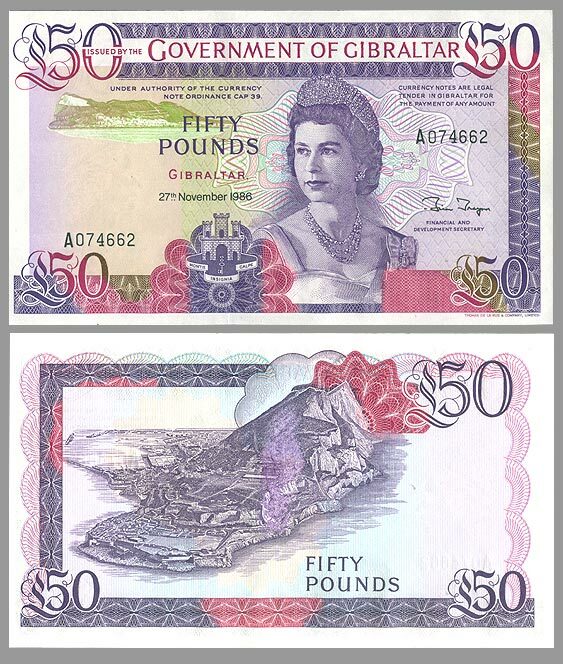 The front of the bank note features HM Elizabeth II, the Rock of Gibraltar in small on the side and the castle and key of the Gibraltar crest. The reverse of the bank note features a magnificent aerial view of the Rock of Gibraltar taken from the south, right over the Strait of Gibraltar. This image was taken from an aircraft on its approach to Gibraltar when easterly winds dominate. This is a peculiarity of the Gibraltar airport that is famous in aviation circles. As the runway runs directly from the west to the east aircraft land and take off according to the predominent wind direction.